Action/Kinetics: Peak serum levels: 1-2 hr. Peak effect: 2-3 hr. Duration: 4-6 hr. tv2: 2-3 hr. Onset, as antiar-thritic: Within 2 days; maximum effect: 2-3 weeks. Ninety-nine percent protein bound. Food (but not antacids) delays absorption and decreases the total amount absorbed. 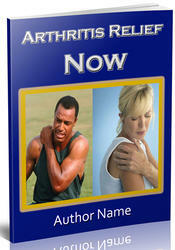 Uses: Rheumatoid arthritis, osteoar-thritis, mild to moderate pain. Non-FDA Approved Uses: Juvenile rheumatoid arthritis, prophylaxis of migraine, migraine due to menses, sunburn. Contraindications: Use in pregnancy and children less than 12 years of age. Additional Side Effects: GU: Dys-uria, hematuria, cystitis, interstitial nephritis, nephrotic syndrome. Overdosage has caused tachycardia and hypotension.